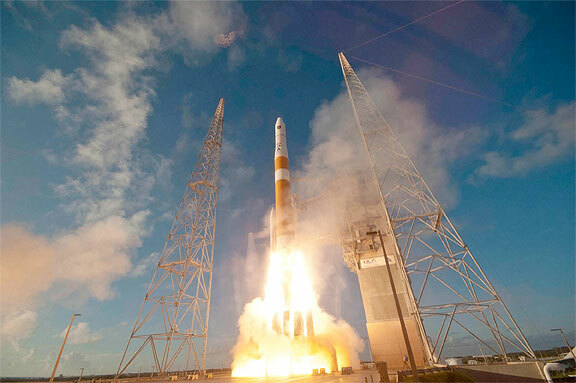 ...Accident Investigation Board (AIB) to investigate why a Delta IV RL-10B-2 upper stage engine did not perform as expected during the October 4th launch of a GPS IIF satellite. "While the launch was ultimately successful, the time-honored rigor and earnest process of an AIB will serve us well as we attempt to determine the root cause of this anomaly," said General Shelton. "In the end our objective is continued safe and reliable launch for our nation." During the launch, the RL-10B-2 second stage engine did not perform as expected even though the Delta IV delivered the GPS IIF satellite into its proper orbit. Per standard processes, the U.S. Air Force carefully reviews all flight data to determine readiness to proceed with the next launch. Therefore, the launch manifest schedule is currently under review while the root cause of the unexpected performance of the RL-10B-2 engine is determined. Once the AIB completes the investigation, they will report their findings to General Shelton and, as appropriate, make them available to the public. October 4, 2012, launch of third Boeing GPS IIF satellite.